I visualize January 1st as a doorway with heavy vinyl strips in the entrance like the kind you see in a professional walk-in refrigerator. During my teens and early twenties I worked at a lot of restaurants. 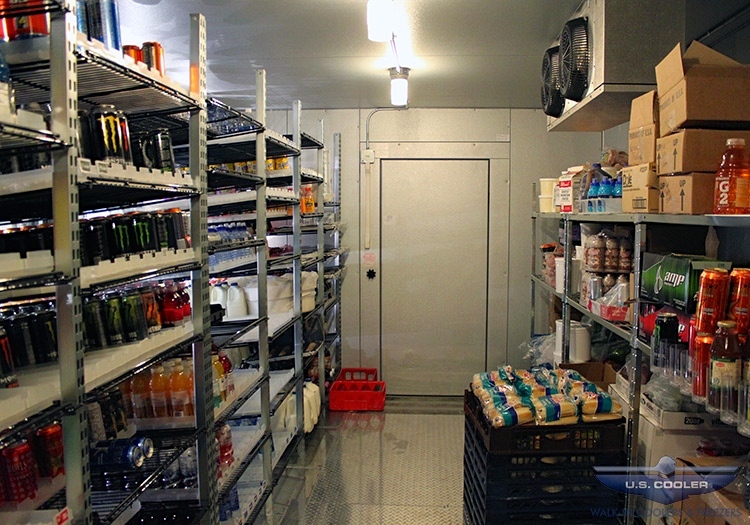 The walk-in fridge was like a sanctuary behind the chaos in the kitchen. I would push through the tentacle-like tangle of plastic and stand still, surrounded by crates of food and a perfect coolness. It was a dramatic difference from the hustle and sweatiness of waiting tables – a rare moment to pause while getting those little creams in plastic containers for the set-up station. My younger self envisioned a more poetic threshold to the new year, one imbued with magical powers. I fantasized that January 1st would erase all my idiosyncrasies that kept me from my long list of yet-to-be-accomplished goals. I would become a different person, my best self. My practical, walk-in fridge version of New Year’s Day came to me in my late forties and I’ve stuck to it ever since. Today I see January 1st as a sanctuary behind the choas in my mind. It’s a space to pause, figure out what I need for my set-up station, and then back to hustle and sweatiness of real life. One: You’re the same person before and after the walk-in. I use the moment to embrace my totality and not annihilate my very being. I’m never going to completely rid myself of procrastination, Peanut M&Ms, or quick boredom. Whether it’s physical or mental, I try to spend less time thinking about what I can’t fix. From this perspective it’s easier to muster my good intentions and energy to make a couple of changes that I can truly achieve. I’ve learned to work with my positive attributes and not come from a place of deficit. Two: Pick just a few things to bring back to your set-up station. Think of the changes that you want to make as assets that will eventually make your set-up station better. Use your time in the walk-in wisely – lovingly pick the items that you REALLY need to bring back with you. If you need more salad dressing don’t bring back lemon wedges. Choose only a couple of items. If you overload yourself, you will drop everything. Three: Once you leave the walk-in, the work is hard. It’s been a long reckoning for me but I have come to the conclusion that discipline and stick-to-it-ness are the keys to life. It sounds boring and punitive but I have found it liberating. Showing up for your life will get you three-fourths of the way to your goal. The only way I can sustain focus is through simple mindfulness. Again, sounds easy but it’s hard work. When I’m being mindful about how I treat other people and how I take care of my body and emotions, my life just goes better. Ultimately change is an inside job. If you can make one modification in 2015, have it be that you treat yourself like an ally and not an enemy. Be kind to yourself while you are working hard. And remember, it doesn’t have to be January 1st to go back into the perfect coolness of the walk-in to pause and regroup.